There is an ongoing absence of French cars in the USA. This is due to major French car brands Citroen, Peugeot, and Renault leaving the market. Now the best way to own a French car is to import a car from France to the USA. As a result, more and more people are importing cars from France than ever before. Schumacher Cargo Logistics has a history of shipping cars to and from France that spans over 40 years. We have developed practices throughout the years to streamline the import process. Because of this, thousands of people choose for their car imports each year. People want French cars, but wonder how to actually import cars from France. The actual shipping from France is actually quite easy with the right help. Follow all of our steps below and you’ll have a French car in US in no time at all. Prior to shipping, find out if your import car is able to enter the US from France. The DOT, EPA, and Customs and Border Protection Agency all have rules for imports. Consequently, there are specifics your car must fall under for permanent import. If your car is current US specifications, the process is more straightforward. Otherwise, see below section on special import cases for more info. Quickly find out if your car can enter the US with our Auto Import Tool. The price to import a car from France fluctuates based on a few components. Some of the components of the cost are vehicle specifications, origin/destination, and service chosen. For that reason, we create custom quotes for each customer’s car import from France. To get a quote for your French car import, complete our Online Quote Form or make a toll free call at 1800 599-0195. There is both Roll on Roll off (RoRo) and container service for imports from France. These services offer a different price point and protection level for your shipment. RoRo service consists of your vehicle rolled onto the shipping vessel in France and then rolled off on one the ports in the US. The vehicle must operate and items are not allowed inside for this service. Container service consists of your vehicle loaded onto a container before shipping. There is both the option for a 20 foot and 40 foot container. It is possible to load more than one vehicle depending on the size. Container service is more common for car imports from France. This is because of the protection it offers over RoRo. Since the car is exposed to the elements in RoRo, we only offer total loss insurance. With container service, we can offer all risk insurance and allow for items to be placed inside. It is possible to import cars from France to the US under special conditions. These cars do not need alterations, however they do have other limitations. 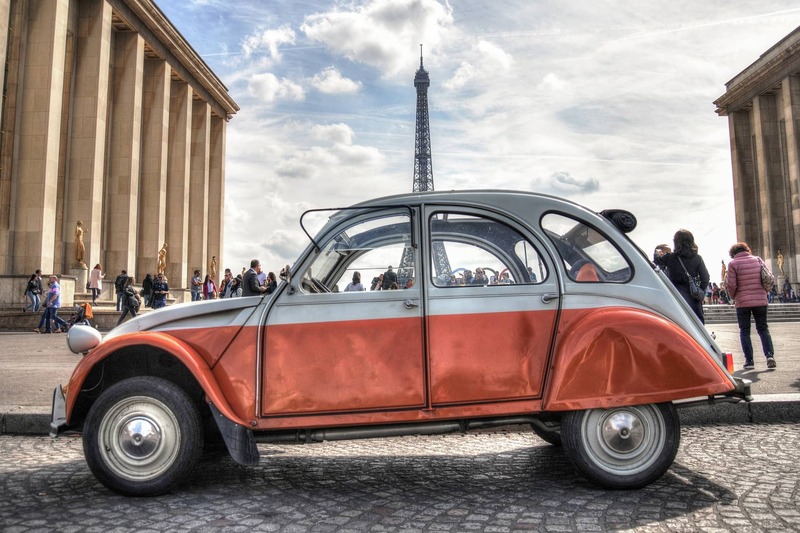 Classic car imports from France are possible once the vehicle turns 25 years old. This age allows these cars to be imported without EPA or DOT restrictions. Thus these French car imports do not need modification and can enter as is. Generally there are no restrictions, but certain states have their own requirements to follow. Import cars done this way do not have to follow EPA or DOT restrictions. However, these imports have their own restrictions. Cars under temporary import are allowed in the country for only up to one year. They cannot be sold and must leave before the year is up. French government or military can bring a vehicle with them if they are stationed in the US. They need papers from the French government to allow this import before shipping. These cars also cannot be sold and must leave with the owner. For more information on how to import car from France to the US, check the US Customs and Order Protection Page. For shipping a car to France from the US, visit our Car Shipping to France Page. To start your French car import to the US, please fill out our online quote form or call in at 1800 599-0159.